The Distributed Research Experience for Undergraduates program is a highly selective program that matches students with a faculty mentor for a summer research experience at the faculty mentor’s home institution. DREU interns have the opportunity to be directly involved in a research project and interact with graduate students and professors on a daily basis for the duration of the 10-week summer experience. This experience is invaluable for those who are considering graduate school; DREU will provide a close-up view of what graduate school is really like and increase interns’ competitiveness as an applicant for graduate admissions and fellowships. Faculty mentors will have the opportunity to work on their research project with new students from other institutions and to mentor future graduate students. The DREU program began as a joint project between the CRA-W, and the Coalition to Diversify Computing (CDC). 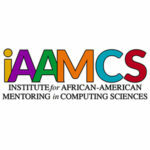 In partnership with these organizations, iAAMCS identifies supportive environments and mentors for exceptional African-American undergraduate students. Through participation in this program, students will be placed into a CISE PIs lab for the summer to engage in scholarly research activities, professional development, and mentoring. CISE PIs are responsible for identifying research project topics and mentoring the student throughout the summer. PIs must also provide a review of the student’s performance at the culmination of the project. iAAMCS students who are placed become a part of our national ecosystem and receive future opportunities to attend technical and affinity conferences and meetings across the country. To support a student, CISE PIs can budget funding to host a prospective iAAMCS DREU student in their proposals for the duration of the project. Students are allowed to return to previous institutions if the PI is interested in having a returning DREU participant. Yes. If accepted to the program, some students who apply will receive funds. However, if you would like to maintain a student in your lab, funds should be identified by the PI to support a standing DREU participant within the grant.